Buy - Ave Realty, LLC. Come home to Ave Maria, Florida. We pride ourselves on our ability to demonstrate to our customers the value of their purchase, and on us bringing them to the closing table. Real Estate markets are constantly changing, and Ave Maria Town is no exception to this rule. Are you interested in a particular home? Or perhaps the area in general? Contact us today for a consultation. Utilize our expertise, and let us show you the value of what you are interested in and make you confident in your purchase. Many IDX providers allow you to create saved searches to link to. This can be for homes based on price range or property characteristics. What is the importance of getting pre-approved for a mortgage? How do you go about getting pre-approved? Pre-approval is generally very important, particularly when a Buyer is making an offer contingent upon their ability to obtain financing. Often individuals have a particular set of circumstances that require unique consideration by their loan officer. This might be because they are self-employed, or have out of state income, or because they recently changed jobs, or whatever may be the case. Getting that mortgage is crucial to getting you to the closing table. We work with a number of outstanding loan officers and mortgage professionals to make sure that happens and can recommend them to you based on your particular needs and suitability upon your request. What is escrow? Are there any closing costs that buyers should be aware of? What is the process of purchasing a home? Generally, a Buyer’s offer to purchase the home is submitted along with a promise to place funds into escrow as a deposit. These funds are protected by the Buyer’s escrow Agent in the event of an inability to secure financing or unsuitable Home Inspection, but are also there to show the Seller that the Buyer is serious in their offer to buy their home. Sometimes there is an initial deposit into escrow and a second deposit after the Home Inspection takes place. The amounts in escrow also vary. Real estate transactions are contracts, and the parties are free and fit to negotiate whatever terms they wish. What is a home inspection? Does a home inspection accompany every real estate transaction? No matter what the circumstances are, we absolutely recommend, to the utmost, that you obtain a Home Inspection. Even if you are purchasing new construction. Home Inspections are conducted by licensed home inspectors that look through every nook and cranny of your prospective purchase. Give yourself the peace of mind of fully knowing what you are buying. We have a number of trusted home inspectors we can pass on to you who are familiar with the homes and area. Every contract involves a number of timelines. In Florida, real estate contracts state that time is of the essence, so it is important to be aware of these timelines and ensure your compliance of them. Such timelines pertain to your deposits, inspections, financing, and, of course, closing! Other contingencies may be involved as well. As your trusted real estate agents, we are proactive in this manner, and ensure compliance every step of the way, ensuring a smooth and seamless transaction all the way to and through the closing table. Are you relocating to this area? Looking for more information to help you find the right city and neighborhood for your family? Our relocation guide includes the most up-to-date and vital information for people looking to move to our area. Homeowner Associations and Community Development Districts are common creatures of Florida Law, and Ave Maria residents have both. A Homeowner Association is the entity that governs the Declaration of Covenants and Restrictions that are tied to a particular piece of property. These covenants and restrictions impose certain restrictions on what a homeowner can do with his property, with the idea that such delineations will preserve and uphold the value of everyone’s home. Such covenants and restrictions can include things like ensuring all homeowners mow their lawns, or preventing certain structural improvements that do not fit in with the underlying ambiance of the neighborhood. In addition, homeowner associations might provide certain amenities to the homeowners. In Ave Maria, for instance, there is a waterpark, dog park, biking trails, tennis courts, and soccer fields. These amenities are paid for through homeowner association dues, which are collected monthly by the association. It is important for a buyer to calculate these homeowner association dues into their monthly expenses. Likewise, a Community Development District is where the Developer of a community takes out a bond to pay for the infrastructure of the town. A bond debt is then placed on each home in the community. In Ave Maria, it is paid yearly, and runs with the home for 30 years. This fee is between $1,200 and $1,800 annually and is actually found on your tax bill (even though it is not technically a tax). If you have a mortgage, your lender will most likely collect this in escrow and pay this as part of your tax bill. It is an important fee to be aware of. 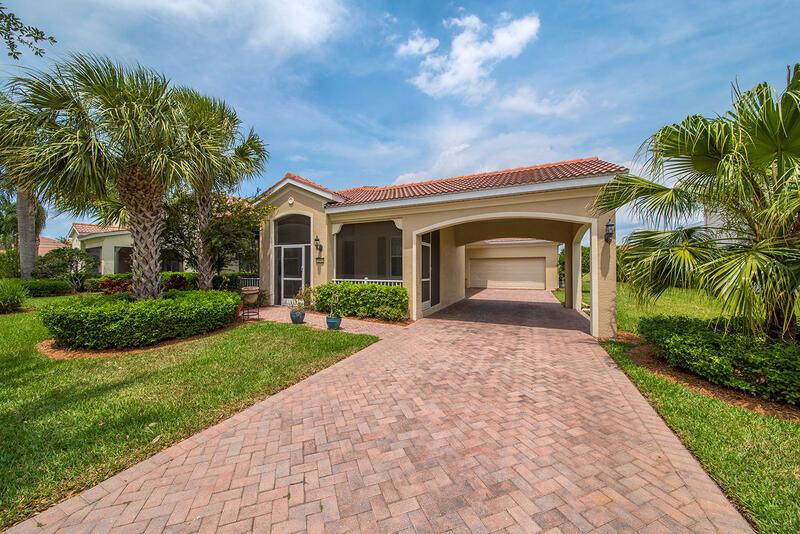 Ave Maria Town abounds with Buyer options and opportunity. This makes it more important than ever for you to know and be confident in the value of your purchase. Whether you decide to build or buy a resale, know what your options are, where the market is at, and what your end goals are with regard to your purchase. If you approach the Builder, be aware that despite the friendliness of the Builder’s agent, he or she is still the Builder’s agent and not your agent. Have Ave Realty working for you. Bounce the builder’s prices off of our expertise of the resale market, and determine where the most amount of value is when deciding on what to purchase. Often times resales include luxurious upgrades that are far from being included in the Builder’s standard price. Similarly, lot availability, affordability, and location are critical and must be compared against resales as well. Lastly, sometimes the Builder’s are willing to negotiate. One time we even moved our customer’s purchase price $20,000 down from the Builder’s ask. Unfailingly, the Builder will make a mistake or perform shoddy workmanship. We are here to hold the Builder accountable. You are paying hundreds of thousands of dollars, and we expect nothing less than the highest quality. Our expertise will make you confident in whatever your decision may be because at the end of the day your decision will be informed. Working only with the builder will be one-sided because they will not give you all the information. Furthermore, in Florida, it is the Builder that pays our fees from the sticker price of your home! It’s a win-win for our customers. Ave Realty, LLC. is located in Southwest Florida in the town of Ave Maria, Florida within Collier County providing Ave Maria houses for sale utilizing Ave Maria Real Estate Agents. If you are looking to sell or buy Ave Maria homes for sale, call a Real Estate Agent in Ave Maria, Florida today. © 2019 · Ave Realty, LLC. Disclaimer - All information deemed reliable but not guaranteed. All properties are subject to prior sale, change or withdrawal. Neither listing broker(s) or information provider(s) shall be responsible for any typographical errors, misinformation, misprints and shall be held totally harmless.